Toyota will debut fresh exterior and interior designs for the Corolla hatch at next month's Geneva Motor Show in Switzerland. 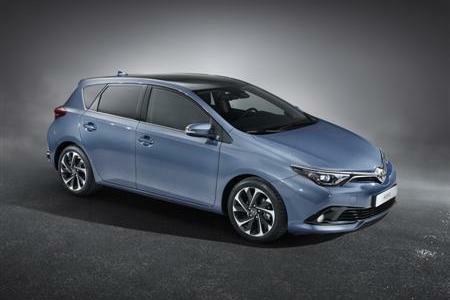 The new car, known as Auris in Europe, adds stance and prestige, an upgraded cabin, and new comfort and safety equipment. Australian-spec cars will begin arriving later this year from Japan. Local customers will be offered improved fuel efficiency while retaining the most powerful Corolla engine available - 1.8-litre four-cylinder petrol with maximum output of 103kW. The current Toyota Corolla was the best selling car in Australia during 2014.